Hello!!! This weekend, I didn’t really have much schoolwork to do, so my mom and I thought it would be a good idea to have a girls’ day out. Usually, we would go to some touristy place like LuJiaZui, but the Pudong Kerry Parkside, only 2km from our house, opened some new stores recently. We had to go try one of the new restaurants. 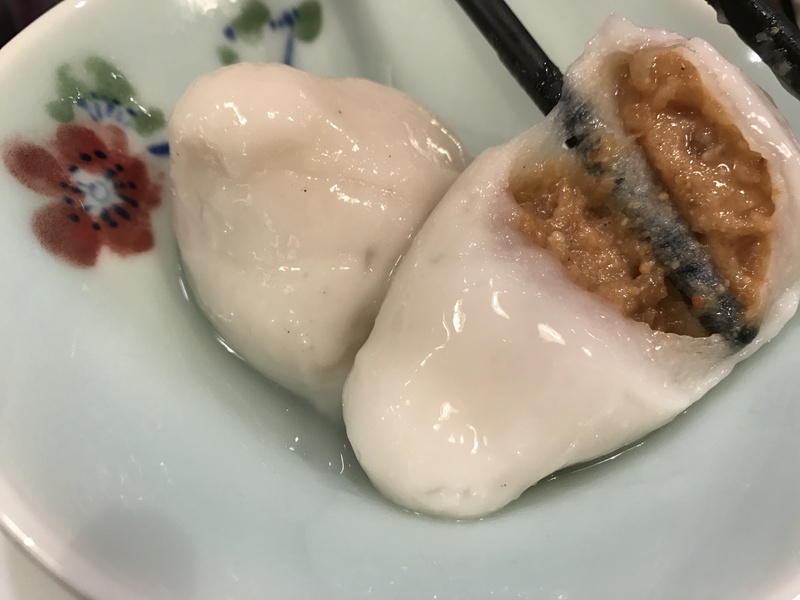 Golden Old Village is famous for its glutinous rice dumplings, which are basically balls of dough made with glutinous rice flour and filled with various pastes or meat. Sound prosaic? Don’t be fooled, if made correctly, the perfect, not too sticky or thick skin gives chew to the lush, hot filling. Golden Old Village is quite famous, so my expectations were high. 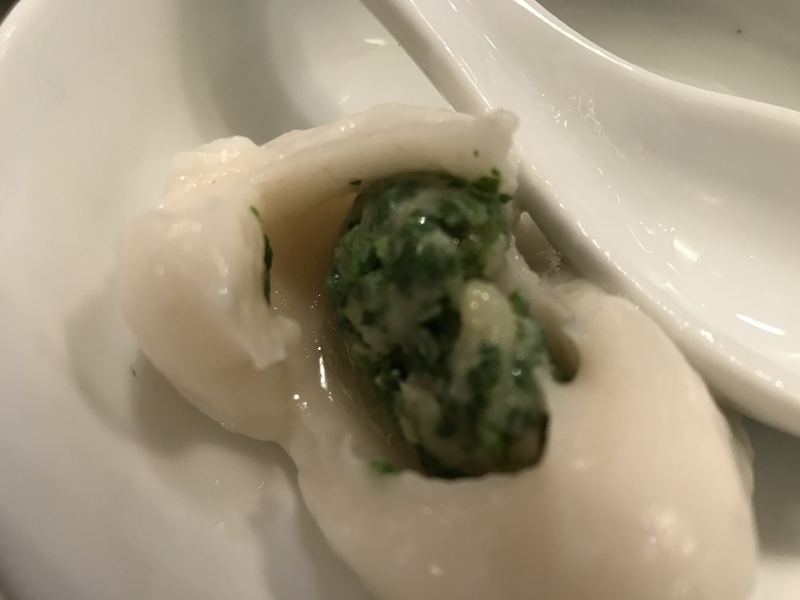 The menu had quite an extensive selection of handmade noodles, wontons and rice sets, but we focused on the glutinous rice dumplings. My mom has a bit of a sweet tooth, so she got the peanut and sesame ones. The peanut ones were a bit of a disappointment, not enough fragrance; however the sesame hit the bulls eye. I got 2 vegetable meat ones and 1 pork and crab roe(eaten before I remembered taking a picture). The flavour and textures were on point, but there wasn’t enough filling in my opinion. As for sides, we kept it simple with steamed vegetables, marinated wood ear mushrooms and braised pork cartilage (one of their specialties). 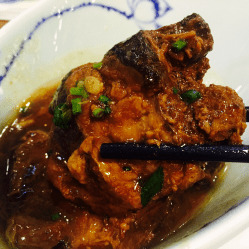 The other sides were nothing special, but the pork cartilage was some of the best I ever had. 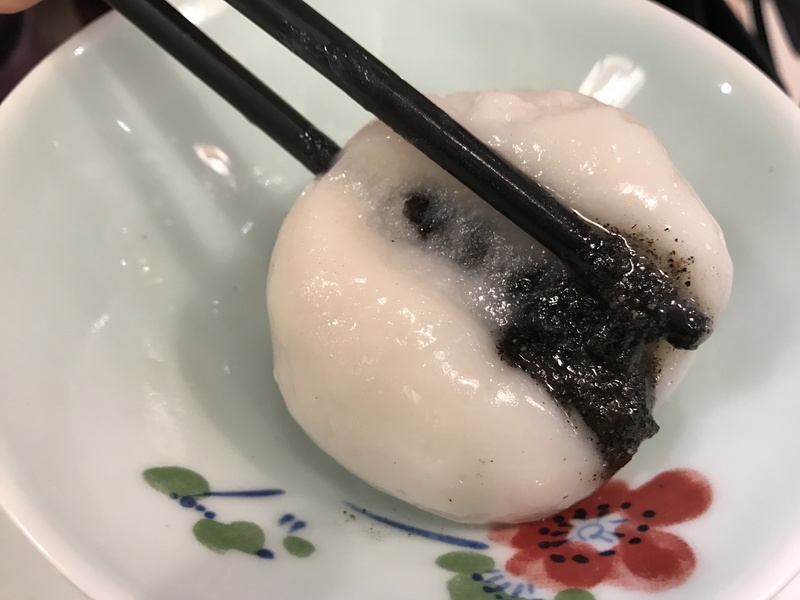 While it may seem like we ate like birds, those dumplings were almost 2.5in in diameter…. not small portions. That aside, the store is in a mall run by a 5-star hotel, so they were quite expensive. The sesame, peanut and pork vegetable ones were 12RMB for 2 and the crab roe was 10RMB for 1. Service was superb. The wait staff were attentive and generally fast. The atmosphere was less ideal. The store tried to create the air of a small village restaurant, which the decour reflected very well; however, its position at the basement of a busy shopping mall marred the effect. 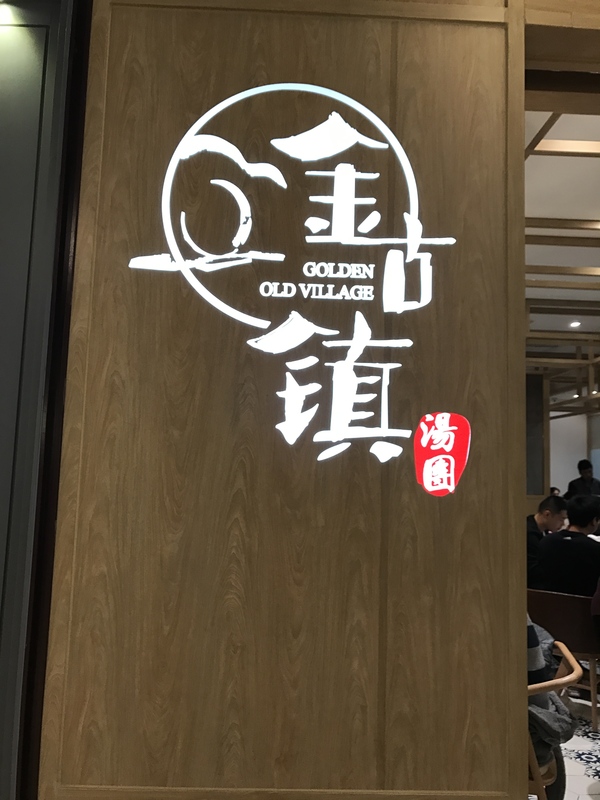 Overall, Golden Old Village was delicious and I look forward to trying some of their other locations. momy extremely enjoyed this girls day out since it was you who initiated it for mommy’s sake. my little girl really grows up into a loving, caring young lady.